Selling real estate is a major economic activity that is highly regulated. State, local, and federal laws must be followed to the letter by agents, brokers, banks, and the seller. These regulating and professional entities all use their own terminology in selling and buying real estate. It is best to be well-versed in their meaning because it can mean the difference in a low or high sale. 1. Amortization – A mortgage loan repayment, including the principal and interest via monthly installments until the end of the loan, which is generally 15 to 40 years. The monthly payments don’t normally change, but there are certain conditions when interest will decrease and the principle will increase. 2. Appurtenance – any improvement or real property that goes with the land, such as a barn, garage, orchard, or shelter. 3. Arms-Length Transaction – A transaction between a buyer and seller where both are hoping to get a good price for the sale and purchase of real estate. 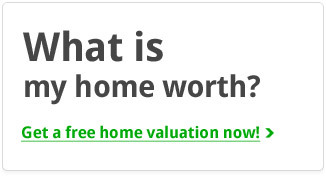 Since both have a financial interest, the end result is the fair market value of the home. 4. Assumed Loan – A qualified buyer who can assume the sellers current home mortgage. 5. Closing Costs – Payments that must be paid at a real estate closing. Closing costs are the fees charged by the lender for processing the loan, the title company, an appraiser, your local recording deed office, and there are taxes, as well as insurance fees. The closing cost is between 2-8% of the purchase price. 6. Convertible Adjustable Rate Mortgage (ARM) – an ARM that can be converted to a fixed rate mortgage within a certain time period. 7. 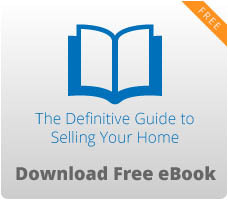 Disclosure – A seller must tell the buyer the absolute truth about a property. The seller must disclose any defects associated with the property they are selling. 8. Down Payment – The initial percentage of money paid on a home by the buyer. 9. Escrow Account – An account where monies are held for safekeeping until needed, usually without interest. This account is used to pay for expenses such as property taxes, homeowner’s insurance, and mortgage insurance. 10. Earnest money deposit (“EMD”) – A partial deposit made by the buyer in their original purchase offer, with the remaining balance to be paid on the closing date. The seller retains this money in case the buyer defaults on the agreement. 11. Purchase Agreement – A written agreement between the buyer and seller, which outlines the details of the purchase arrangement. 12. Real Estate Broker – A licensed real estate person who oversees the sale and purchase of properties. 13. Title Report or Title Search – A written document issued by a title company, an attorney or an escrow company. It identifies all the information and history of a property title.